All homes currently listed for sale in the zip code 75219 as of 04/21/2019 are shown below. You can change the search criteria at any time by pressing the 'Change Search' button below. 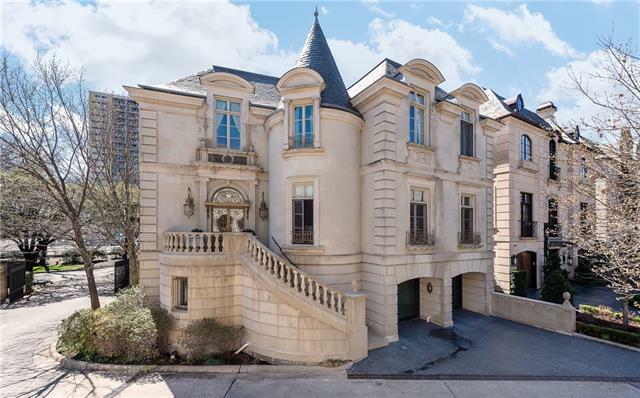 "Designed by Larry Boerder & built by John Sebastian, this spectacular architecturally significant French residence is situated on Turtle Creek at the exclusive Place Des Vosges, a prestigious gated community with only 16 homes & 24hr security. Featuring an incredible finish-out with impeccable detailing, the stunning interiors showcase exquisite formals featuring 11ft ceilings with trompe l'oeil murals & real gold leaf accents & molding, unique handsome hardwoods, a gorgeous marble-patterned ent"
"Beautiful home located in the exclusive Place Des Vosges, one of only 2 interior parcels inside the prestigious gated development. Nestled in the lush landscape and majestic trees affords wonderful privacy. Light and bright with high ceilings, incredible winding staircase, impeccable detail and exquisite taste. 2 guests suites plus a flexible room on the first level. 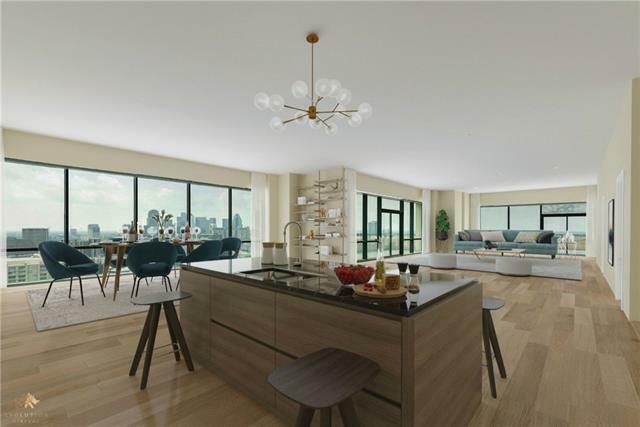 The 2nd level boasts large formal LR & DR with fireplaces, temperature controlled wine cellar, a wet bar and a wonderful chef's ki"
"Rare opportunity to purchase NEW CONSTRUCTION in The Luxury Vendome high-rise on Turtle Creek. This PENTHOUSE unit D is due for completion in mid-2019. Slated for top-of-the-line high-quality finish out, yet time to choose your own selections. Project partners are X+lll (Architect) and Hudson Construction Group (General Contractor). 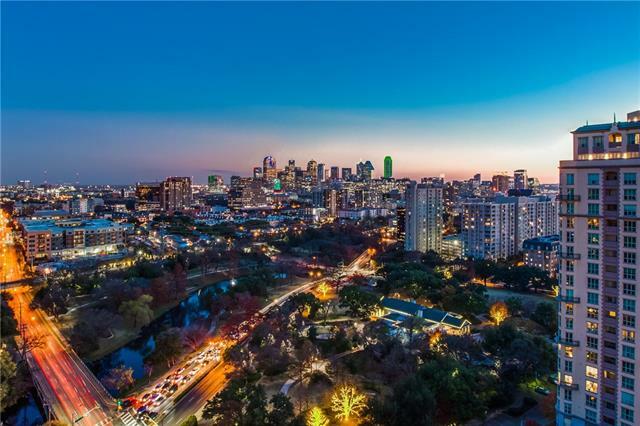 Outstanding south views of downtown, Turtle Creek and sunsets! Approx 310 sq. ft. of terraces! Spacious master with doors to terrace; enormous walk-in closet. 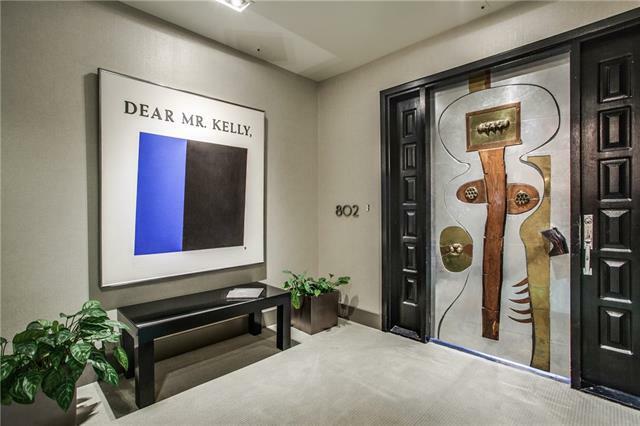 Open "
"Extraordinary architectural award winning reinterpreted Bauhaus masterpiece is situated in a beautiful gated, bridge accessed, private Turtle Creek neighborhood. 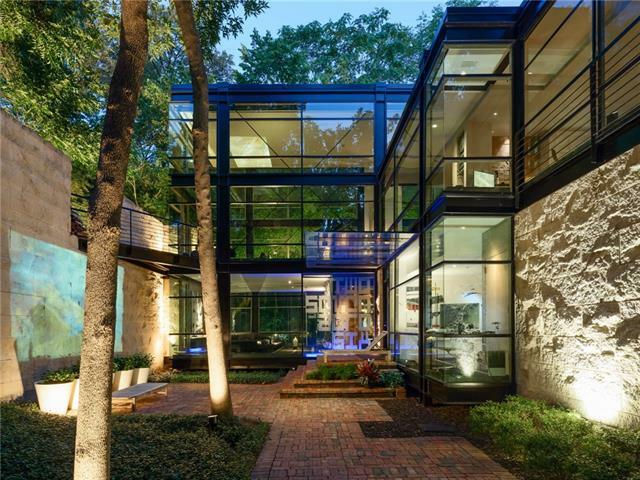 Winner of the D Magazine Home of the Year 2000 and chosen as one of the 10 Most Beautiful homes in Dallas 2008. Extremely gifted, talented architect, artist and sculptor Jonathan Bailey designed this dramatic glass home as his own personal living piece of art, to rest, to create, to entertain and enjoy! 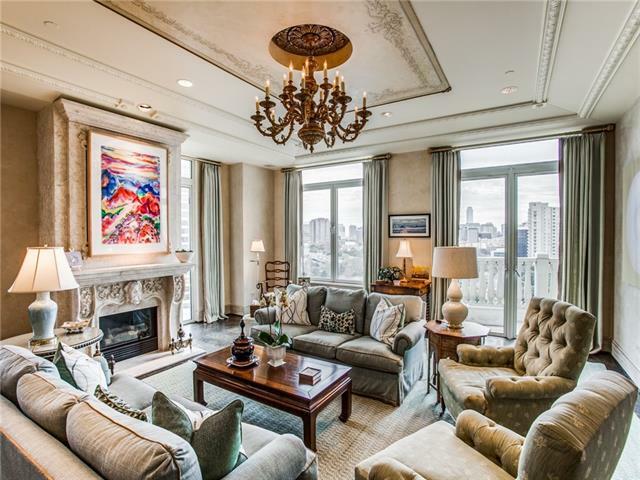 Imagine the opportunities with th"
"Spectacular Condo located in the exclusive Mansion Residences which features incredible privacy, security, services and access to the amenities of the world class luxury Rosewood Mansion on Turtle Creek. Designed for grand entertaining or intimate occasions the spacious living and dining room enjoy amazing views of the trees of turtle creek, the dramatic skyline of uptown and downtown Dallas. Other features include gourmet kitchen, private master suite with two bathrooms, custom closets, wet bar"
"FABULOUS VENDOME A PLAN WITH BREATHTAKING VIEWS OF TURTLE CREEK AND THE SPARKLING DALLAS SKYLINE. WONDERFUL ENTERTAINING AREAS,6 BALCONIES, 3 BEDROOMS, STUDY AND 4.5 MARBLE BATHS. GOURMET GAS KITCHEN WITH WOLF APPLIANCES AND CHARMING BREAKFAST ROOM. PRIVATE ELEVATOR AND INCLUDES ALL VENDOME AMENITIES: 24HR VALET, CONCIERGE, AND SECURITY;3 GUEST SUITES; RESORT STYLE POOL AND SPA, AND FITNESS CENTER. PICTURES WILL BE UPLOADED MARCH 29." "The Italians call the second floor the piano nobile ; the French, the bel etage . The noble floor or principle floor of a large house, this floor contains the reception rooms & bedrooms of the house. One of the primary reasons for this distinction is so the rooms will have finer views. 2A on the second floor of The Vendome is nestled into the treetops along Turtle Creek Blvd. Out of every window one is surrounded by green, much like in one of the grand homes of France or Italy. 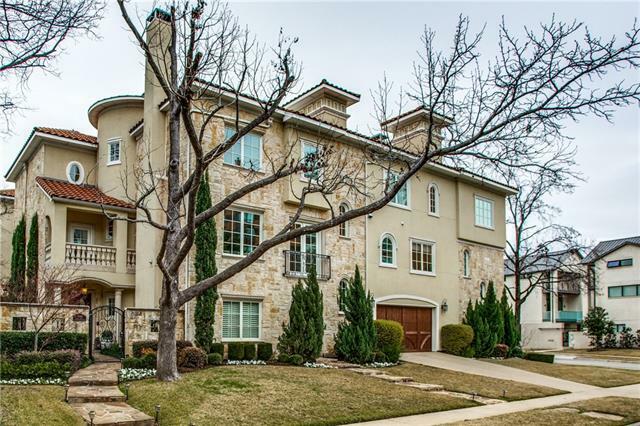 T"
"There are few high-rise residences in Dallas that have more natural light, finer downtown and Turtle Creek views, or a better floor plan or amenities than this home at the Vendome. 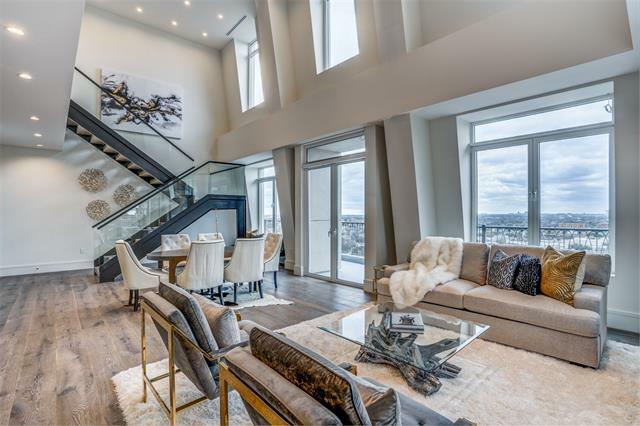 Occupying the entire side of the building, along Turtle Creek Park, rarely does the downtown skyline reign so spectacularly than it does from this very special property. 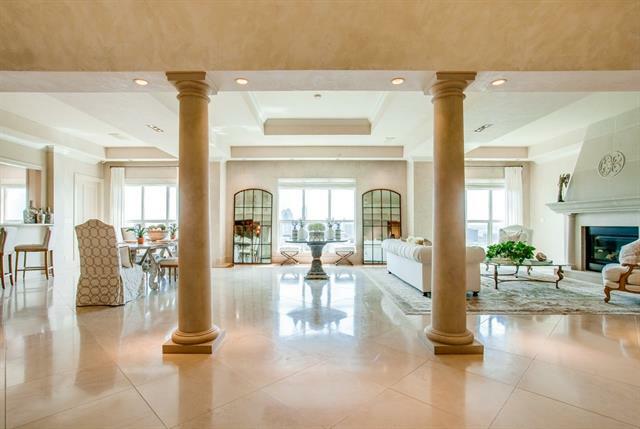 Everything about this home represents the pinnacle of high-rise living in Dallas. 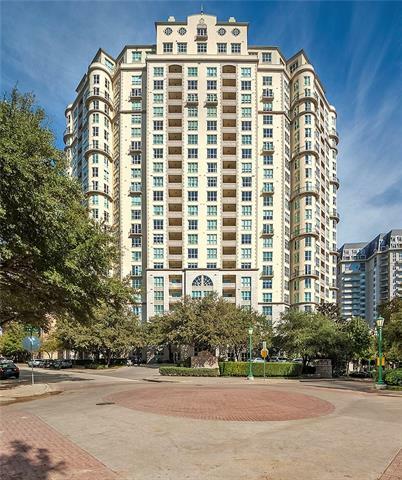 The elevator, just steps away from the valets porte-cochere, whisks"
"Rare opportunity to purchase NEW CONSTRUCTION in The Luxury Vendome high-rise on Turtle Creek, with North and East Views from 477 sq. ft. upper level terrace. PENTHOUSE Unit D is due for completion in mid-2019. Slated for top-of-the-line high-quality finish out, yet time to choose your own selections. Open kitchen floor plan. 24-hour concierge, valet & security; resort style pool & spa, personal cabanas & fitness room. X+III is the architect on this project & Hudson Construction Group is general"
"Live luxuriously among the treetops along the picturesque Turtle Creek corridor. 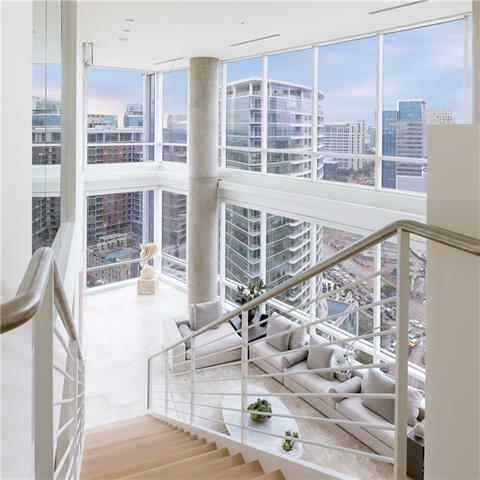 Spacious condominium at the inimitable Vendome on Turtle Creek updated w the finest finishes & designer touches to create the ultimate high-rise experience. Step off the elevator & into the inviting private entrance - a rich, paneled-wood foyer with marble flooring. 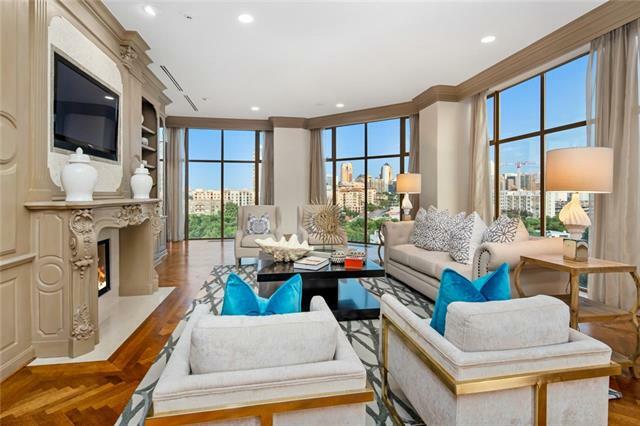 Hardwoods, crown molding, high-end light fixtures, marble accents, multiple terraces, ample storage & a refined master suite, convey a sense of everyday"
"Rooftop Terrace with stunning Turtle Creek views in Regents Park. Custom designed as the private residence for the developer. Enjoy the privacy and convenience of high rise living with minimal HOA's. 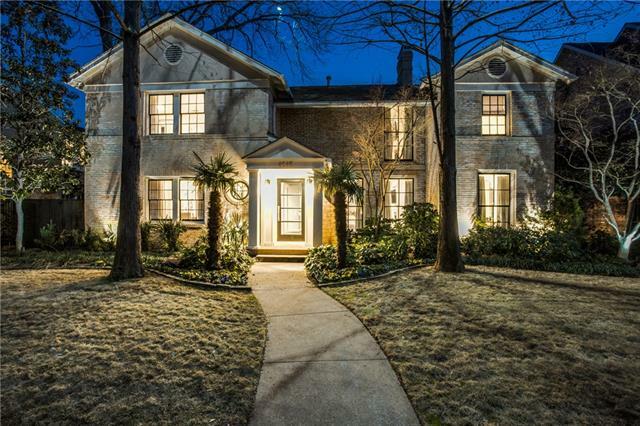 Steps from the finest restaurants, Katy Trail, Riverchon Park, Turtle Creek and Blackburn Lake. Timeless architecture, finishes and extensive upgrades. Natural light and tree lined views from every window. Multiple living, dinning and bar areas with gourmet kitchen. One floor dedicated to the Maste"
"Serious and significant direct downtown views from every window in this trophy property. 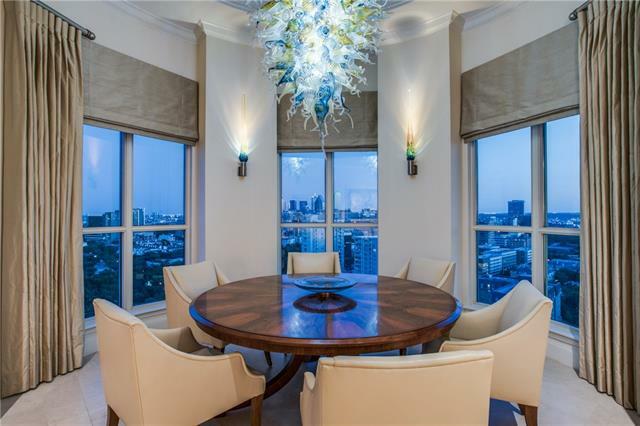 Wrapping the entire SE corner sitting on the 22nd floor, this one of a kind home boasts dramatic 11.5' ceiling heights that anchor a custom David Gappa glass DR chandelier. Separate Master wing with dual Master baths and closets. Split floor plan with second Master Suite and flex 3rd bedroom or study. Eat in kitchen and great room. Open LR with Bar. 4 parking and 2 storage." "If you are looking for a life of luxury. The W residence is the place for you. 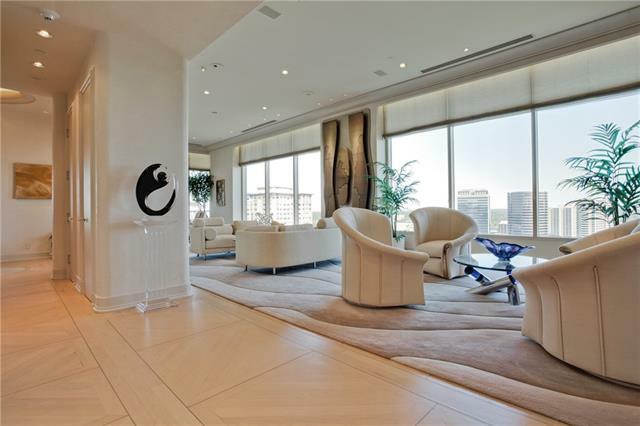 With incomparable services and a stunning panoramic view of downtown and uptown. 30 ft ceilings and walls of glass the view will simply take your breath away. Automation for TVs, music, HVAC, lighting, and shades. Master bath has all new Kohler appliances with a jetted tub that looks over downtown. New natural limestone honed vein cut floors throughout the house including bathroom showers. Along with new 100% New Zea"
"Recognized as the Crown Jewel of Turtle Creek hi-rise living. Totally customized luxurious living space. Custom entry door. Bold entry with built-in fountain. Media room. Wet bar. Art lighting. Grand his and her walk-in closets. Vast storage in hallway and studies. Venetian plaster. Two private studies. Several outdoor loggias and Juliette balconies. 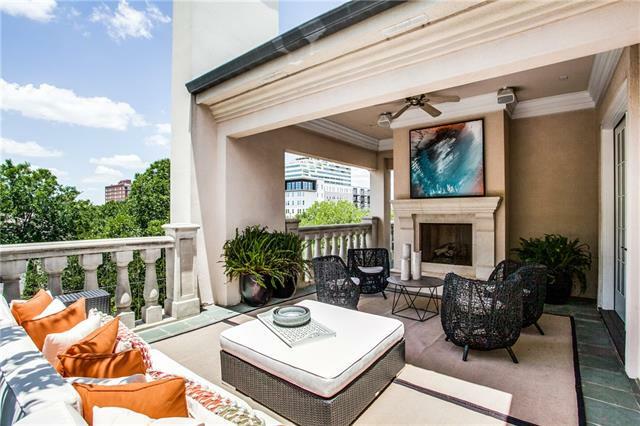 Sensational unobstructed wrap views of the Downtown Skyline to the Park Cities." "A three-story treasure with elevator access to each floor. The first level boasts a spacious living room with built-ins, fireplace, powder room, dining room with windows and french doors leading to the peaceful patio with a fountain, wonderful landscaping, and seating area. The wet bar has a walk-in wine cellar, and the kitchen features a large island, granite counters, stainless steel appliances and separate breakfast area. The second level includes the master suite, paneled library with firepl"
"Think you have it all? You will change your mind the moment you step foot in this magnificent penthouse at The Mayfair. With unparalleled views of the Dallas skyline, this top floor center unit is the perfect place to call home or maybe your home away from home The entire home was thoughtfully designed with an open layout allowing you to create your perfect space. The sizable kitchen features your favorite appliances Wolf, Miele & Sub-Zero. Split master suites have fantastically sized "
"Soaring high above the city on top of Tower 3 in The Centrum, sits this three-story penthouse shell, with amazing downtown Dallas views and over 2,000 sqft of your own private terrace space! A blank canvas to make your own, unit is primed for your luxurious appointments and design. Highest walk score in Uptown! Unrivaled amenities, 8,000 square foot roof deck, 15,000 square foot courtyard, 6,000+ square foot fitness center with trainers, plus five restaurants on site." "Timeless Elegance in the Clouds. Imagine the Palace of Versailles but in the sky 22 stories over Turtle Creek, one of the greatest bodies of work by legendary design firm Loyd - Paxton. 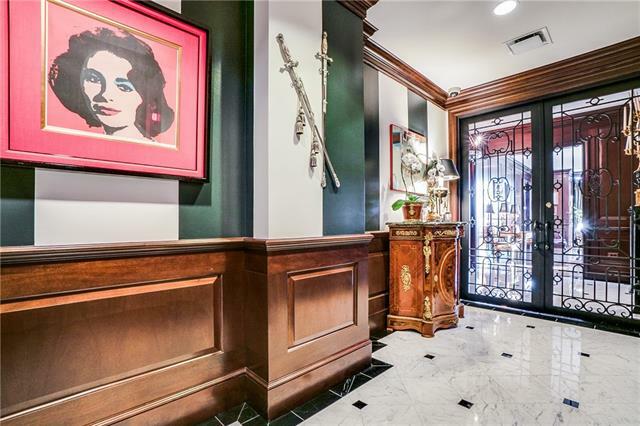 Nothing can prepare you for the luxury and innovation that lies behind the custom iron gates leading into the grand salon of this penthouse. White marble floors, mirrored walls, pearlescent paint, and silver-leaf blend together to create a vision of glamour and opulence. The Terrace Room provides a barrel-vault"
"Coveted Claridge Penthouse Double Unit * 4 Parking Spaces & 2 Storage units * Owner would consider selling furnished * So much space, unit could be reconfigured * Custom finishes throughout * Light wood floors add to the light-filled space * Walls of windows give Turtle Creek and skyline views from almost every room * Priced to allow buyer's own vision * Flexible spaces can have many uses in this open floor plan * Management and Staff have wonderful reputation for service * Building on a peninsu"
"Chic modern living in the heart of Highland Park defines 43hundred Lomo Alto. Gated new enclave offers seven sophisticated three-story residences with elevator by AIA award-winning architect, Bernbaum-Magadini. 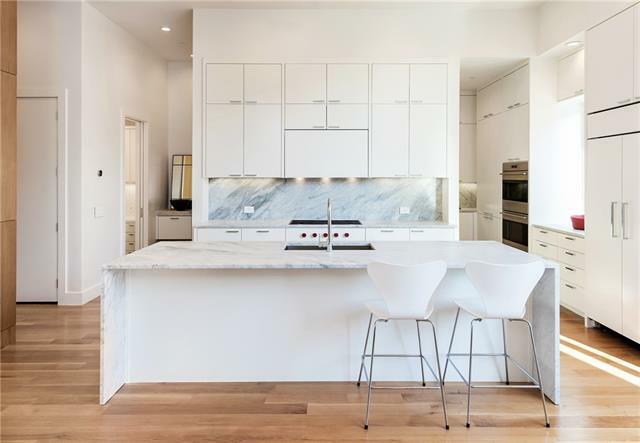 Hand-hewn white oak flooring, Carrara marble, architectural windows, pristine gallery-style walls, and professional-grade stainless steel appliances marry a sleek modernity with beautiful functionality. 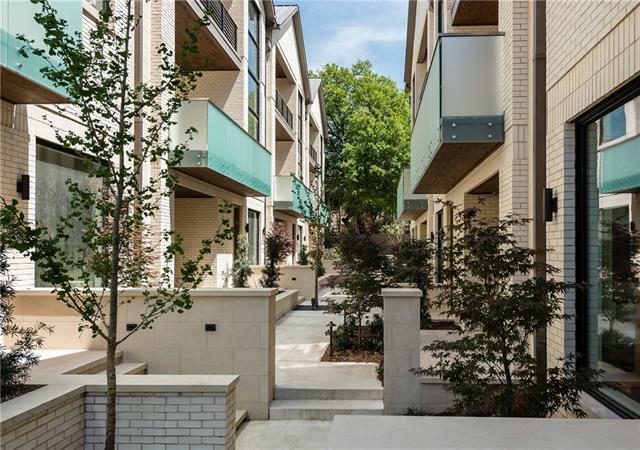 Community outdoor dining, grilling station and exercise room provide the ultimate in m"
"Corner residence, downtown view, wrap-around terrace. 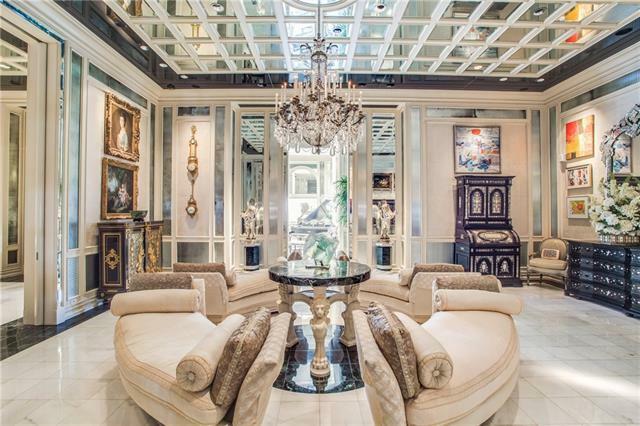 Gallery foyer leads to LA with grand piano, mirrored wet bar, 200-bottle wine cooler, Sub-Zero icemaker. Library with full bath, closet & oak pocket doors separates LA & dining, can be guestroom. Dining with terrace view seats 20 diners. Canac kit with lacquered cabinetry, granite counter, Dacor double overs, induction cooktop, Sub-Zero fridge-freezer. 2nd bedroom & bath w Murphy bed for guests, works as office w built-in storage. Master Bedr"
"A price that cannot be beat. This elegant townhome has it all and is priced to sell fast. A true jewel box. Tree top views from virtually every window. Four stories of beautifully designed perfection.Elegant balcony and terrace. Huge Master suite occupies the entire top floor of this home. Sep Master baths and walk in closets. Tons of storage. Elevator goes all the way to the attached,2 car garage to aid the weary traveler. Amenities: Media Room, study, formal sitting room, dining room,morni"
"Stunning renovated Highland Park single family home. Step into this serene and light-filled home. Beautiful chef's kitchen with custom marble island, Dacor appliances, abundant cabinet space, quartz counters, glass backsplash, wet bar with a wine cooler. Floor-to-ceiling windows in living room overlooking resort-like backyard. Living room has an adjacent study-reading room which shares a see-thru fireplace. Large backyard with oversized slate patio and pool-spa area. All bedrooms up. Master suit"